Carriage HouseSouth Carolina�s low-country fare�think shrimp and grits, fried green tomatoes and pork and beans�is served amid utilitarian country charm at this Wicker Park restaurant. 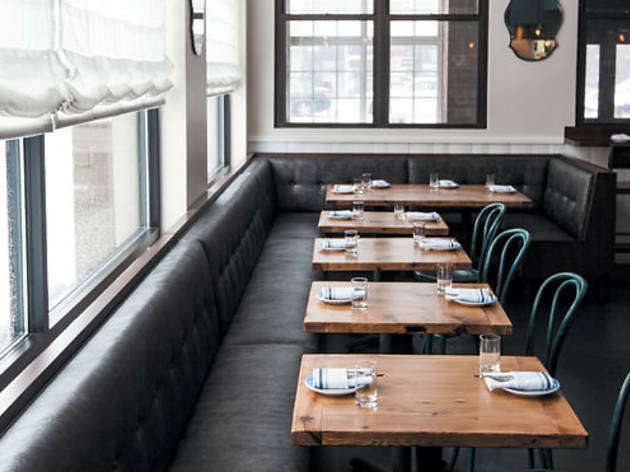 Natural light from the massive warehouse-style windows is offset by pendants with Edison bulbs; simple wood-spindle bistro chairs are painted a shabby chic hue of turquoise. Sturdy ceramic plates and dishrag-style napkins line stained-oak tables, and family-style dishes such as the signature low-country boils are served right in their colorful casseroles. 1700 W Division St (773-384-9700). Dinner (Tue-Sun, 5pm-late), brunch (Sat, Sun, 10am-2pm).Steal this style Vintage dinnerware reminiscent of Carriage House�s comfort-food plates is stacked wall to wall at the Hutch (1550 W Olive Ave, 773-506-0406), with mix-and-match options aplenty ($5-$50). Next door, Roost (5634 N Clark St, 773-506-0406) sells bushel-basket lamps for $79. Bub CityHonky-tonk and Texas two-step are the calling cards at this classic BBQ joint resurrected from the �90s, where slow-cooked brisket, shrimp boils and fried pickles are served �as an accommodation to drinking customers� (and non-drinkers, too!) The stage is a simple setup with a black brick backdrop, but elsewhere, a grainy wood aesthetic dominates, from scuffed wood floors to plank-wood walls. 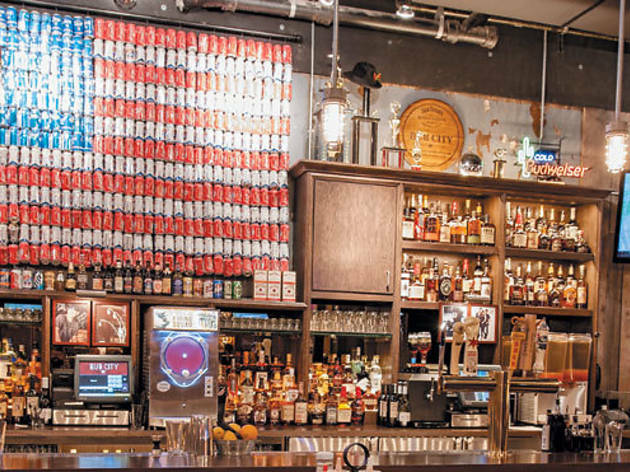 Unapologetic neon signage, vintage marquee-style posters and one impressive beer-can American flag drive home the hoedown vibe. 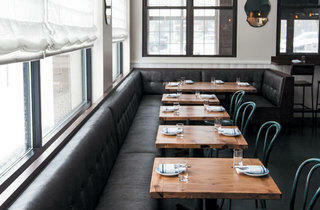 435 N Clark St (312-610-4200). Lunch and dinner (Sun-Fri, 11am-2am; Sat 11am-3am).Steal this style Find vinyl-covered chrome bar stools (starting at $100-$120 each, depending on condition) and throwback neon signage ($150-$450) at vintage depot Salvage One (1840 W Hubbard St, 312-733-0098), where many retired bar furnishings get second lives. 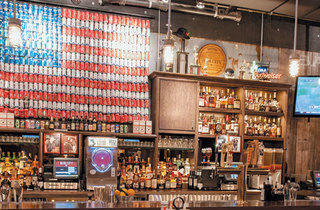 As for the American flag, all you need to do is take some recycled beer cans and assemble.